Back in 2011, Marc Andreessen said, “software is eating the world”. At the time, no one knew how right he was. 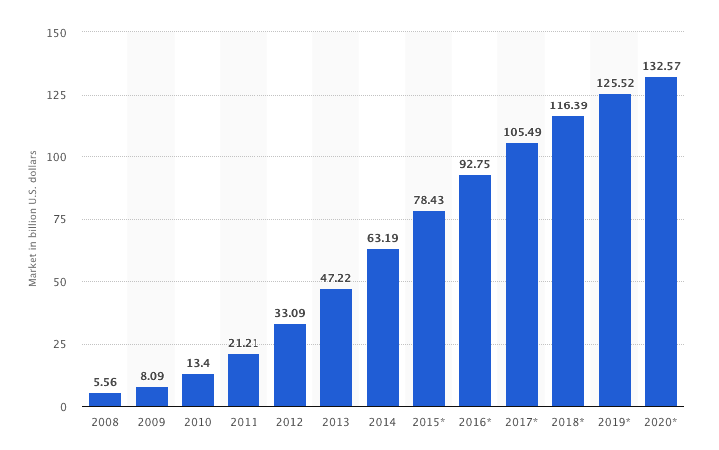 Seven years on, SaaS companies took over a large chunk of the market – and they continue to do that at a frightening pace. A lot can be attributed to the Saas social media marketing of these companies. The SaaS market is growing steadily every year. Today, it is worth $116.29 billion. Back in 2008, it was worth just $5.56 billion. The competition for SaaS businesses is becoming tougher. In order to succeed, you obviously need to set yourself apart from the competitors. Here are seven tools that will make building your SaaS social media presence easier and some insights into their marketing strategies – used by the leaders from all over the globe. Check them out and dare to try what you find the most efficient. Let’s go! 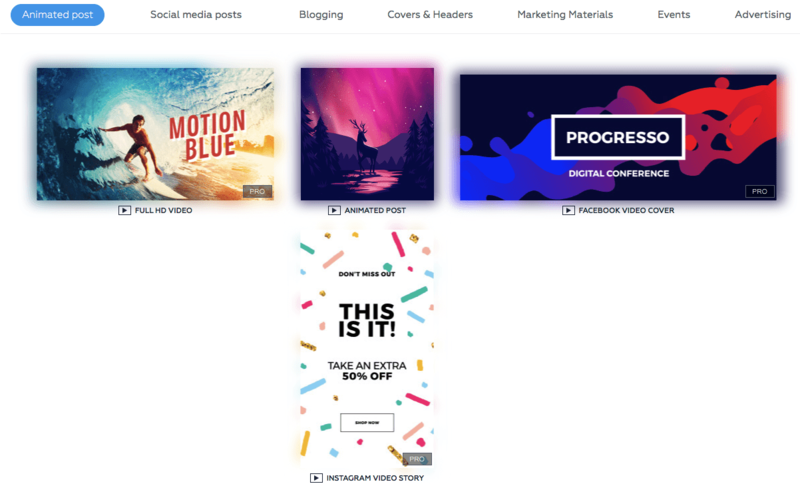 This tool helps marketing geeks and experts create beautiful imagery for their social media. The main idea behind the product is to make complicated things easy. 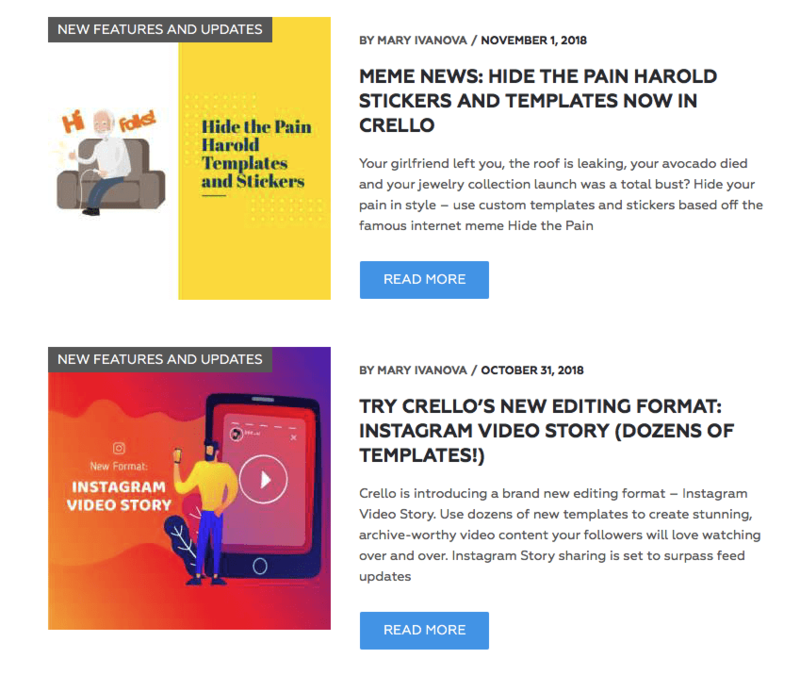 Crello offers a set of ready-made templates for creating images, tailored for every social media platform. This online visual editor is even helpful in making animations and Instagram Stories. Users can free their imagination with stickers, animated objects, icons, and ready-made designs available for free. 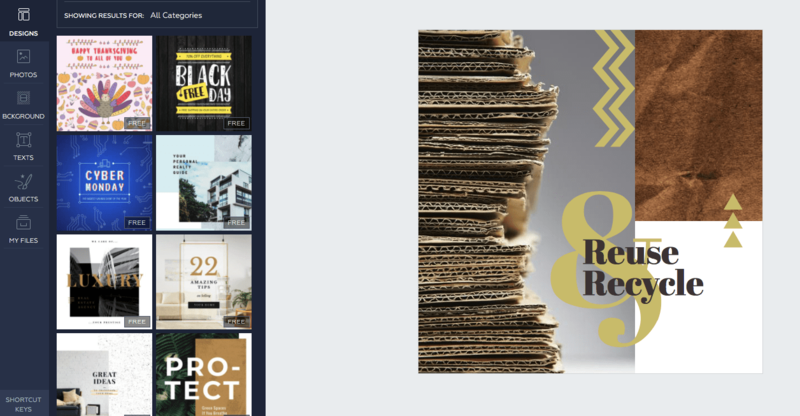 Crello cuts graphic and motion designers out of beautiful content creation. This way, the company provides a value-packed resource first, then focusing on a content marketing strategy to generate more leads. Company’s blog is structured around 4 rubrics, which focus on different needs of their target audience. 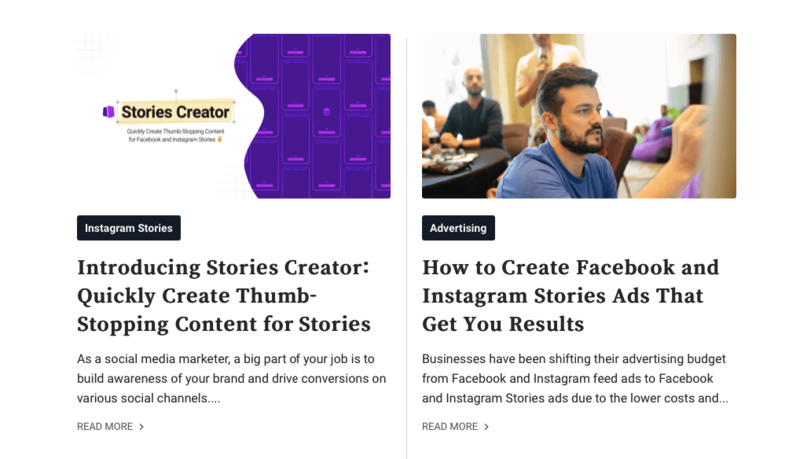 Content templates, marketing tips, design lifehacks, and even meme news – literally everything related to visuals can be found there. Crello’s blog is a representative example of how successfully a company can put customers’ interests first. It works as an efficient way to provide value to users, increasing brand awareness as well. PRO TIP: You can use a social media automation tool to recycle your social media images to be used again and again across your social media accounts. Depositphotos is a well-known stock image library that offers a unique selection of over 80M stock photos, vectors, and videos at a very affordable price. The company focuses on the quality of customer service, quickly making its way into the top stock photo agencies known worldwide. Providing a high-quality product, reasonable pricing, and a wide range of user-oriented offers helps this company reach out to an international customer base. In addition, this tool offers customer-centric UI. It is easy-to-use both for professional photographers and people who are on the other side – marketers, webmasters, bloggers. Hence, we need to go beyond product to fully understand the marketing strategy of this company. For photographers willing to make a few bucks by selling their images, there’s a very transparent system. They register, pass a brief examination, upload a few samples of their work, and wait for approval. Once their accounts are approved, photographers start earning. The more popular their images are – the higher become their profits. If your portfolio is large and your content quality is high enough – you may become a selected Contributor and get paid for every image download individually. 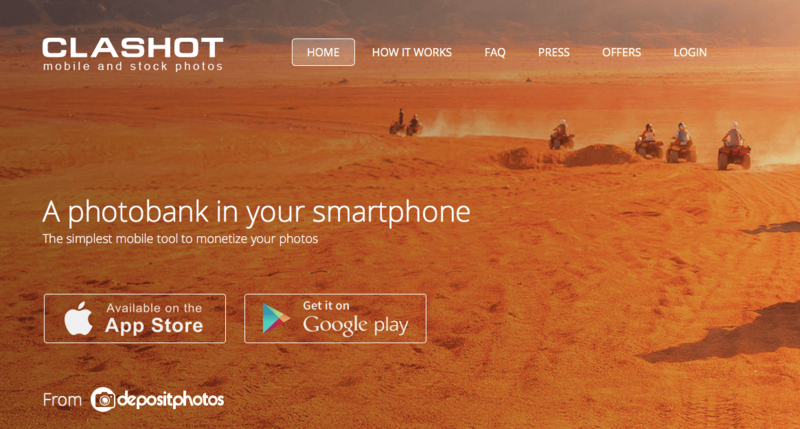 Besides, Depositphotos has a highly popular application – Clashot. It allows you to create, upload, and sell photos directly from your phone. 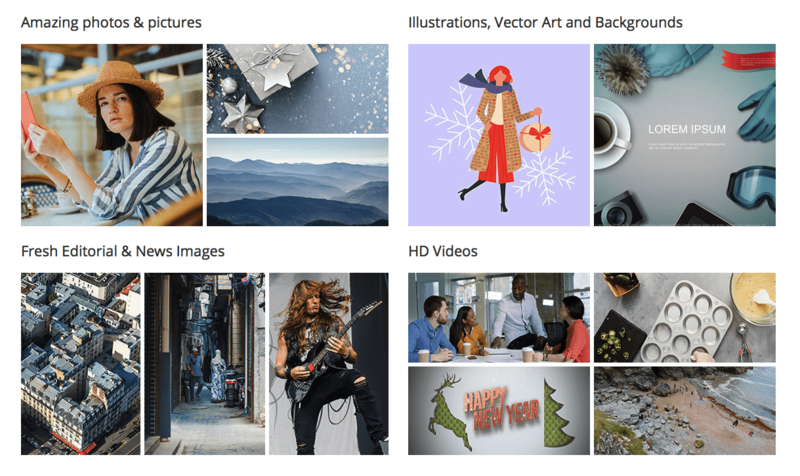 For users who work with stock images, videos, and vectors on a day-to-day basis, Depositphotos offers a unique customer interface. First, there’s a wide range of search options – by size, orientation, color, keyword, topic, photographer’s name, etc. Second, Depositphotos offers flexible subscription packages, bonus offers, promo codes with discounts, and giveaways. 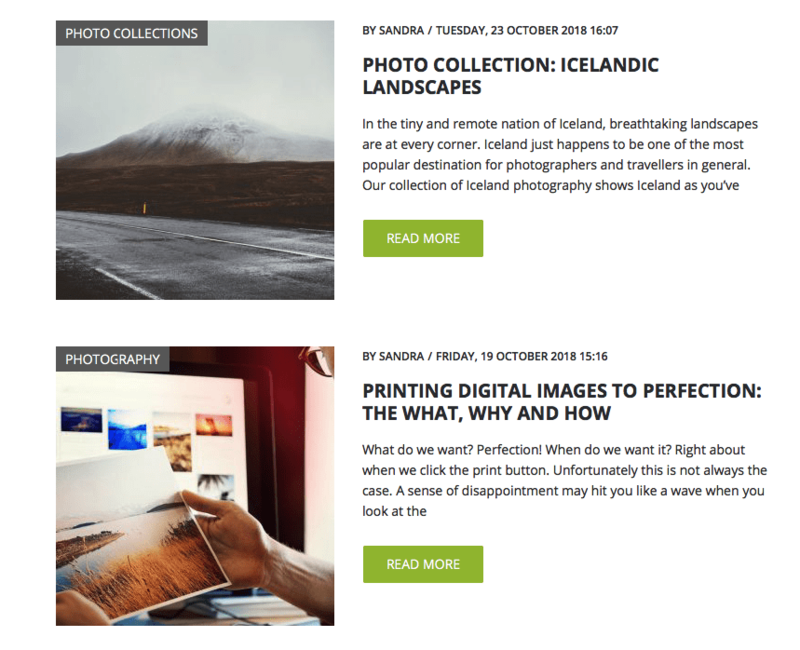 Third, Depositphotos writes an incredibly beautiful, aesthetic blog – about photography as the art, business, marketing, interviews, design, and events – everything a dedicated photo maker and user needs. This way, Depositphotos leverages all ways possible to keep up with consumer demand and stand out from other stock agencies. Having clearly defined the needs of different groups of users (photo makers – photo buyers), Depositphotos came up with the efficient ways to serve them, giving all other SaaS companies a good lead to follow. Keep up! This company creates a free collaboration platform that helps to break projects into boards and monitor all processes at a glance. Their marketing strategy is unique because… they don’t have any at all. Yes, that’s how it is. Instead of handing out money left and right, the company used all its budget for building a simple, user-centered product that businesses and ordinary people need for sure. As a result, Trello received high-volume word-of-mouth effect, what helped the company to get countless mentions in niche blogs, forums, and websites. Users actively discuss the service, its user-friendly interface, and a cost-effective approach to ordinary task management. Though the service is free, there are two subscription-based options for businesses and individuals. 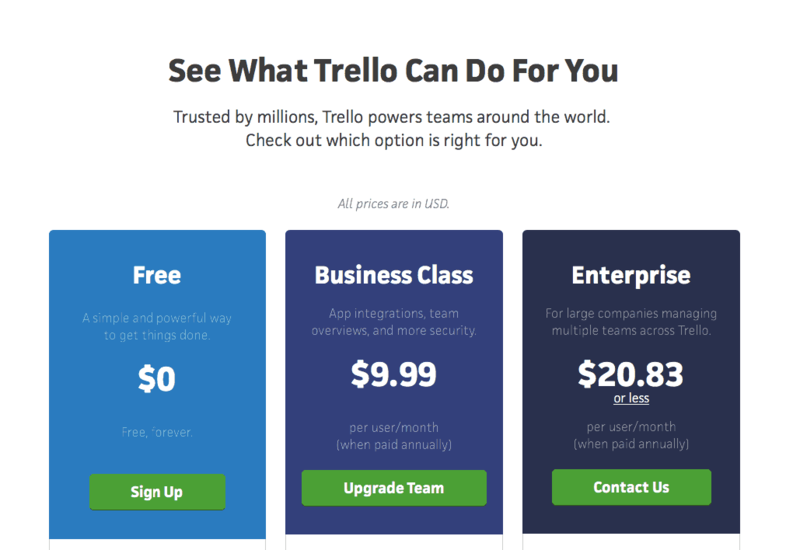 Emphasizing quality and usability, Trello used word-of-mouth as the main advertising source. It provided the company with high customer lifetime value. 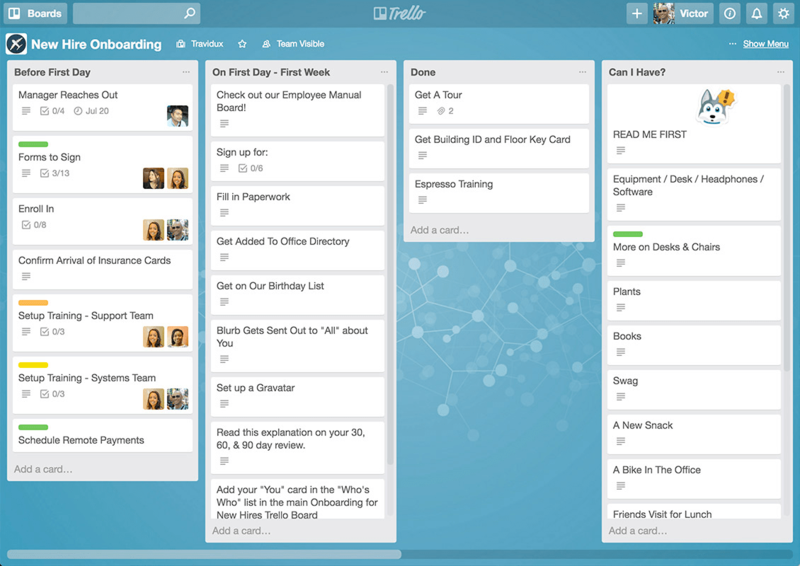 Now Trello actively uses social media channels and blogs to promote its productivity content. This helps the company to engage with more people while not spending an extra coin. Customers do all the marketing themselves. It is a win-win situation both for Trello and its users. This company builds an effective platform for business communication. It offers a set of integrated solutions for every team, including sales, marketing, customer support, and many others. There’s no need to go into more details, as almost everyone already uses Intercom. The company has a unique content marketing approach. They figure out the right touch points to communicate with their audience. 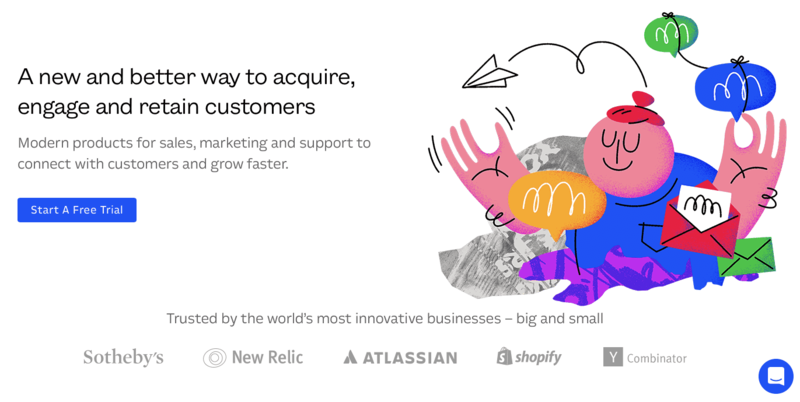 That’s why you can find a treasure trove of valuable information in Intercom’s blog – topics from marketing to product management, entrepreneurship, design, and much more can be found here. The company goes beyond classic content types, using podcasts and books to drive qualified leads. 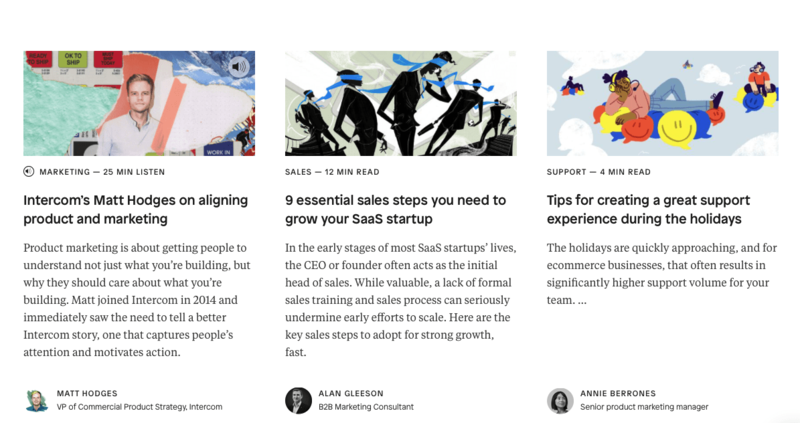 All-in-all, Intercom is a great example of how you can drive buzz and engagement inside your SaaS community. Emphasis on content and quality product will help you drive the right traffic, engagement, and leads over time. Buffer is a valuable marketing tool that provides ready-made solutions for scheduled social media posting. The company uses content marketing as an efficient way of attracting new visitors and converting them into leads. But instead of producing viral content, Buffer focuses on what resonates with its audience – VALUE. Currently, the company uses multiple blogs to reach out to a broader audience. Additionally, it uses social media shares to boost traffic for the website. This wonderful piece – 30 Things to Stop Doing to Yourself – is a great example of how easy it is to get 500,000 likes if your content is customer-focused. This way, Buffer shifts the focus of content topics, getting to the top of the search results quickly. Already a Buffer user? Connect your Buffer account to Bulkly and easily recycle your social media updates. Click here to import your previous Buffer content. 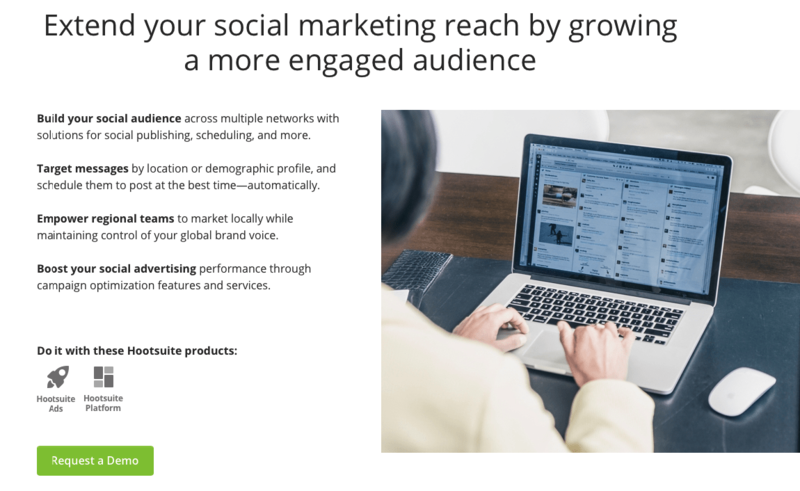 This platform offers a comprehensive set of features that come in handy for many social media marketers. Content management, scheduling, reporting, ROI tracking, and many other features are available on a subscription basis. The company uses a practical approach to building its social media presence. 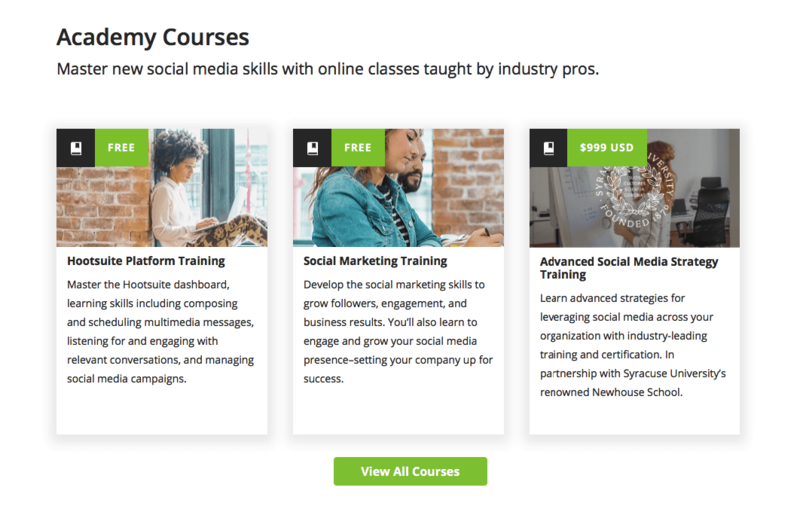 In particular, it creates an online academy that helps marketers maximize their social media performance. 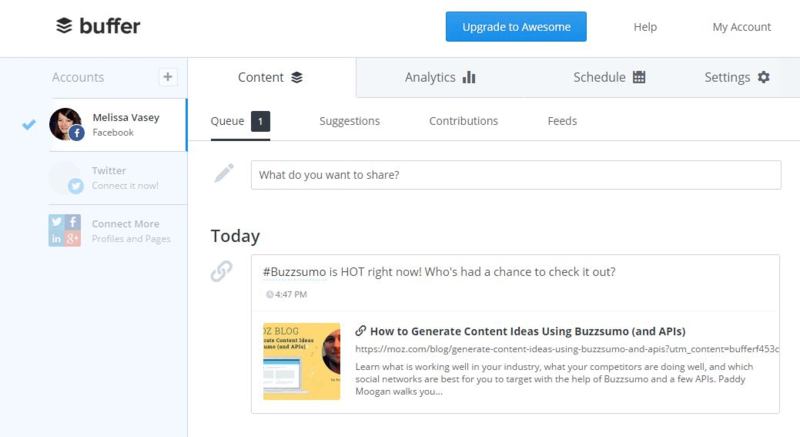 Hootsuite Academy is a comprehensive collection of tools, tips, and tricks. Altogether, they can skyrocket the potential of your content becoming viral. Aside from Hootsuite Academy, the platform keeps up with the latest trends disrupting the social media industry. The company creates viral content that targets specific groups of people around the globe. 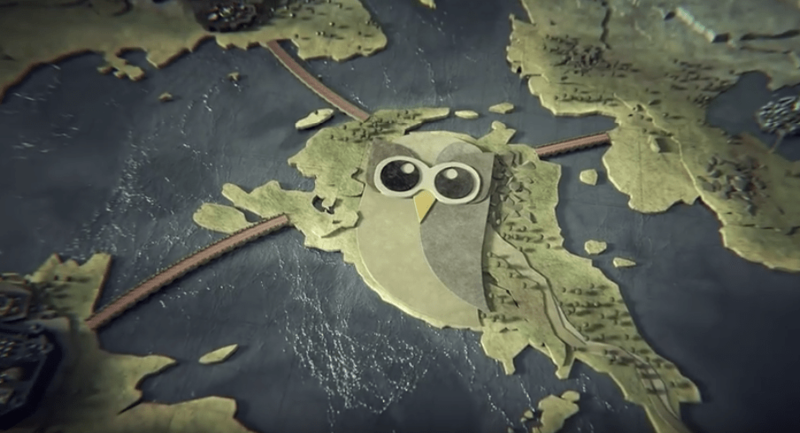 One of such content pieces is a viral video in the Game-of-Thrones style. It makes all social media networks similar to the cities from the Game of Thrones. The kingdoms of Twitter, LinkedIn, and Google appear on the landscape, one after another. When the presentation of each comes to an end, the camera moves to the middle, where Hootsuite stands. The video shows that this platform serves as a bridge that unites all social media kingdoms. Beautiful images, clear mission statement, and content that resonates with the audience – these are the pillars of success. Producing quality content and keeping up with the most recent trends, Hootsuite stays on the top of the business. It would be ridiculous to miss out on this company. This file storage and sharing platform is known worldwide. Though the product already speaks for itself, the company is building a wide range of networks around its name. 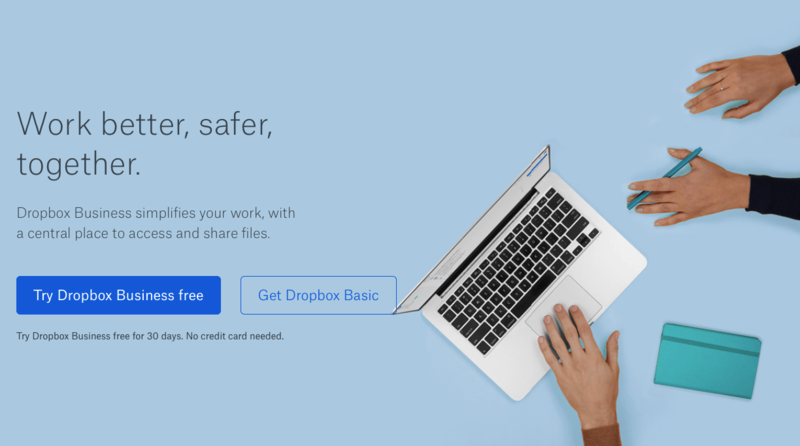 Since DropBox serves many groups of people worldwide, it would be impossible to satisfy them all at once. 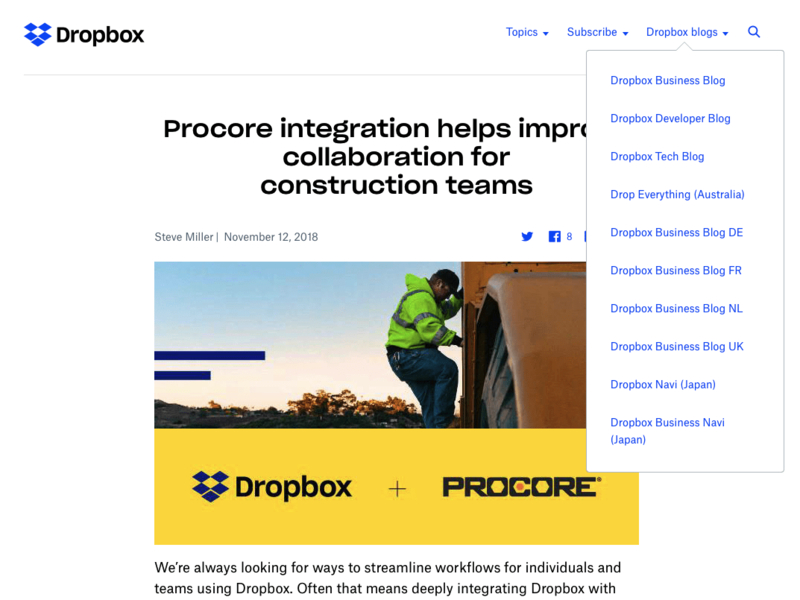 For this reason, Dropbox breaks down its content marketing strategy into different segments, based on the needs and expectations of its target audience. At the moment, Dropbox has Business, Developer, and Tech blogs + a chunk of localized content for its international users. Aside from content marketing, Dropbox organizes and actively participates in webinars. This is a great way to communicate your credentials to existing and prospective customers. SaaS companies, which have already bitten a piece of a market cake, hire great professionals, believe in their products, and continuously invest in big opportunities. For this reason, they are crushing in, driving both revenue and customer happiness. For most startups and early-stage entrepreneurs, the challenge lies in taking the first steps. Inbound, referral, and influencer marketing all sound like a real mess for people, who have never faced them before. But don’t fret – if you follow the footsteps of SaaS companies listed above, success won’t be long in coming, and your users will soon become your main brand ambassadors. Which of these SaaS company’s social media marketing approaches are you most interested in implementing? Be sure to leave a comment below. Eugine Dychko is a marketing manager at Crello. She has 7 years of experience in marketing and content writing and a strong understanding of social media techniques. Eugine is passionate about providing insight into the latest trends of the visual industry and online advertising.